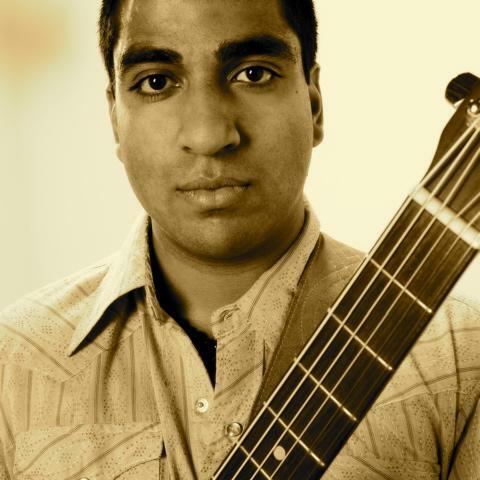 Nikhil Korula And The NK Band has become one of the most popular and ambitious California based rock bands since its inception over six years ago. The market for the sensitive male singer with hipster appeal has been a dominating force in the music industry since the late 90s. Acts like James Blunt, Jason Mraz, and Dave Mathews helped to start this trend. Though Nikhil Korula and his band fit well into this demographic, Korula’s imaginative melodic sense and rich harmonies set him apart from his contemporaries. After the success of the band’s double CD Live Vibes (Grammy nominated for best rock album in 2012) as well as The Way Things Work, and Music Of The New Day, both released in 2012, Korula teamed up with Butch Taylor and Jeff Coffin of the Dave Mathews Band for Solo Sessions. Although this latest recording project by Korula only contains five tracks, each composition is an exploration of layered vocal harmonies, pensive lyrics, and tasteful instrumentation. The album’s opening track, “Spark” has a definite mellow California rock sound. Korula’s powerful and confident vocals glide beautifully atop Butch Taylor’s spacey yet masterful Fender Rhodes keyboard work. Korula’s vocal harmonies add a psychedelic touch to the song. “He Said, She Said” is a syrupy ballad with Korula’s radio friendly, serene vocals and acoustic guitar playing. Jeff Coffin adds some depth to the song with his melodic soprano saxophone, but it’s not enough to make this a truly standout piece. It sounds as if this song was crafted for the pop-charts, without any sense of risk or artistic experimentation. “Broken Roads” has an Allman Brothers, Southern rock feel to it with exemplary major pentatonic guitar leads by Korula. Butch Taylor’s Hammond B-3 organ playing is particularly strong and soulful, matching Korula’s gospel flavored vocals. This is one of the standout tracks of the EP. The mournful waltz of “Silent Tears” is one of Korula’s finest recorded tracks to date, featuring some original imagistic lyrics about darkness and pain, with a dash of hope. Taylor’s piano work is brilliant, weaving in and out of Korula’s loose, jangled acoustic guitar chops. The album closes with “Fade Away” which sounds a little too close to Dave Mathews’ sound. The instrumentation is particularly strong; especially Taylor’s jazz influenced piano solo. But the retro ‘90s sound calls for something more to spice it up. The stark lyrics don’t match the upbeat melody of the song. 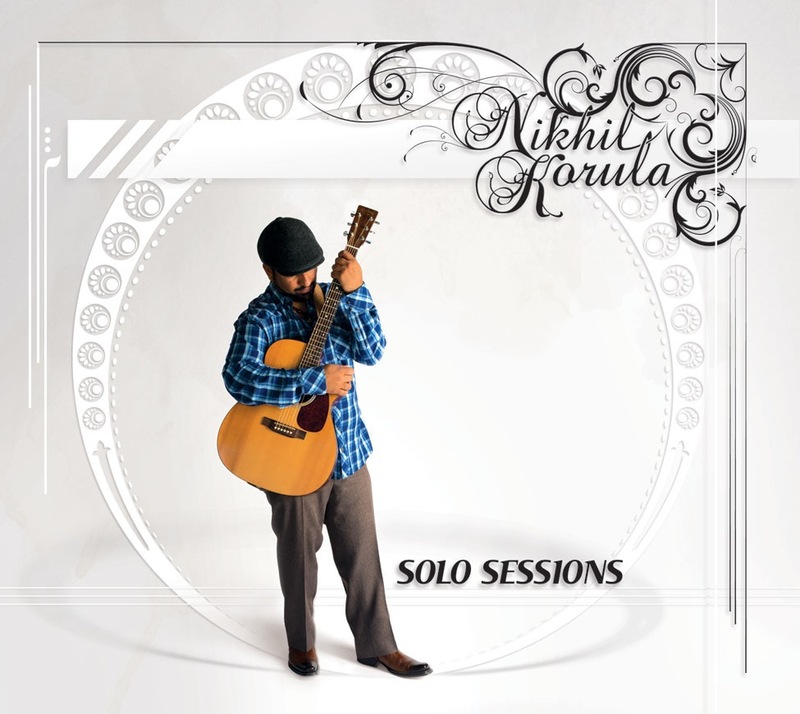 Nikhil Korula and The NK Band’s Solo Session features some focused musicianship, vocals, and lyrics, but plays it a bit too safe to the game, lacking the adventurous explorations of Korula’s previous recordings, which freely combined rock, reggae, and jazz. Even so, Solo Sessions is perfect for college campuses and pop-chart followers around the world.